There’s nothing quite as relaxing soaking in hot springs. Not only does this soothe tension in your body and muscles, but it is also very therapeutic. As with many other things, hot springs have become a profitable niche market in recent years. And Europe is a popular destination for hot springs tourism. 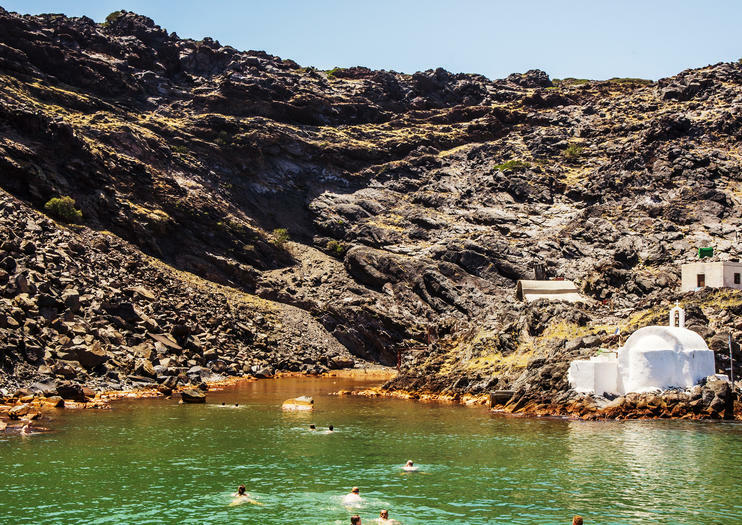 Here are the top hot springs on the continent that you must visit in 2019. Imagine yourself soaking away your cares amongst ancient white stone and the beauty of Turkey’s Inner Aegean region. That is exactly what you will be doing in Pamukkale, which means “cotton castle” in Turkish. This white stone terrain is actually travertines, which are terraces of carbonate minerals left by the constantly flowing water. 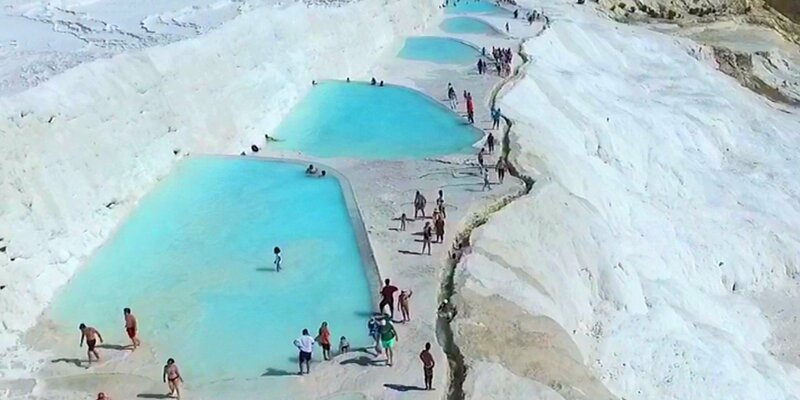 Pamukkale, which attracts tens of thousands of tourists each year, has been a gathering place to soak and relax for two millennia. 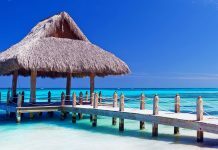 Men, women, and children come here year-round to socialize and take advantage of the medicinal benefits of the thermal waters. Altogether, there are 18 pools which consist of thermal pools, steam baths, plunge pool and a fitness pool for swimming laps. 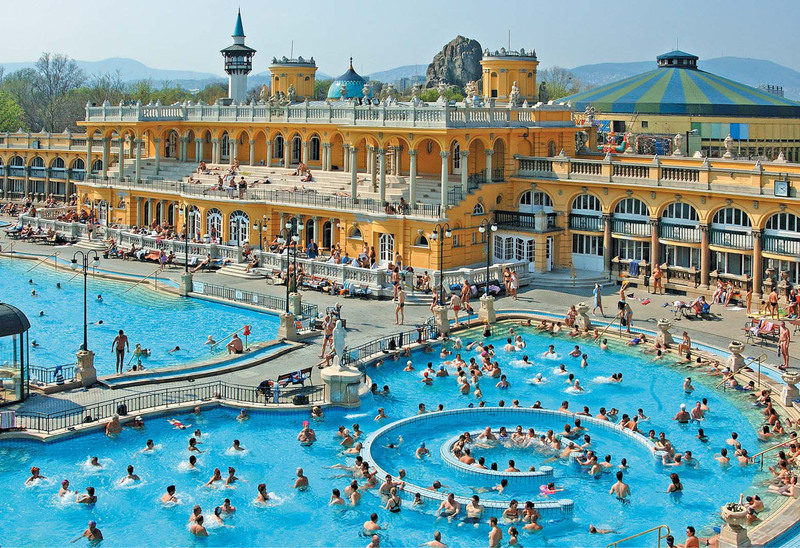 Szechenyi has been around since the early 20th century and is the most popular geothermal medicinal bath in the city. Marvel at the medieval Moorish architecture as you swim in one of these pools what were restored in the 16th century. The pools themselves date back to Roman times, long before the Moors ruled Spain. 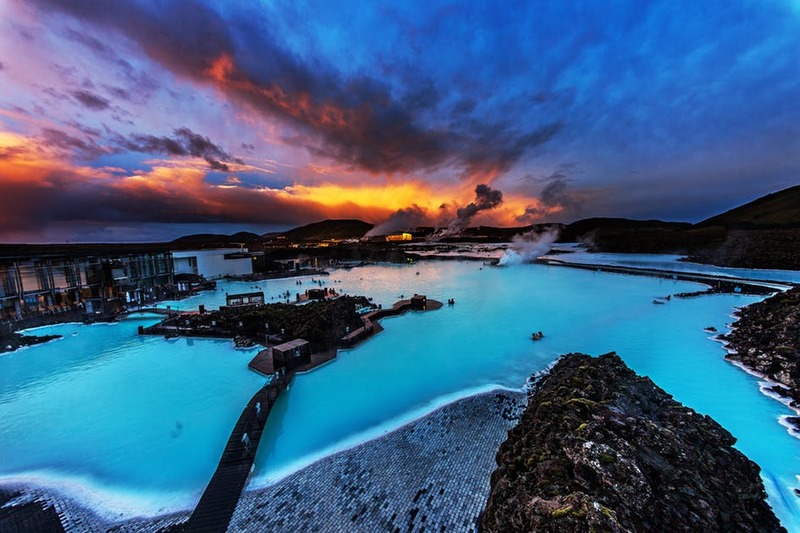 Iceland is known for having some of the finest geothermal hot springs in the world. And The Blue Lagoon (named for its light blue waters) is undoubtedly one of the most visited. To get there, you need to drive from Reykjavik to the lava field in Grindavik, which is on the Reykjanes Peninsula. 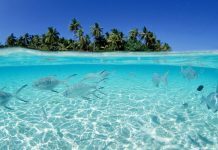 Silica and sulfur are some of the minerals found in these inviting waters, which are frequented by those who suffer from a variety of ailments, especially skin diseases. 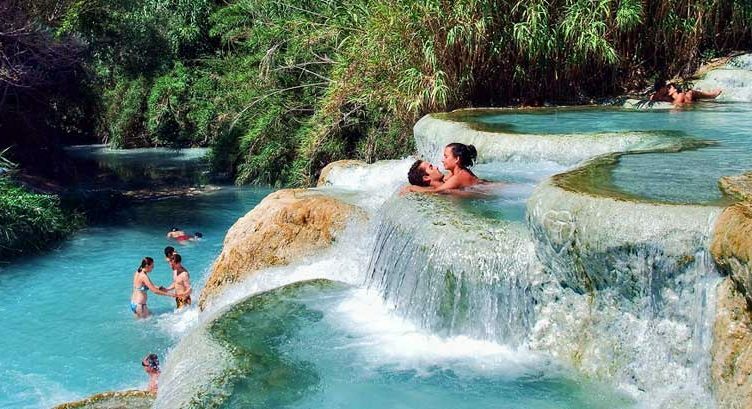 Terme di Saturnia is a group of hot springs in the municipality of Manciano. The springs that feed the baths come from the Fiora and Albegna rivers. These hot springs were used by both the ancient Etruscans and Romans. 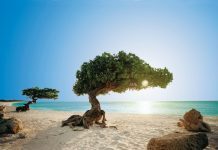 There are many benefits to spending a day in these soothing waters, including mud treatments and other spa amenities. The top hot springs in Europe are set in various terrain. Bains de Dorres is in the heart of the Pyrenees Mountains in southern France. The water stays as a warm 41 degrees Celsius throughout the year. When you relax in these sulfurous healing waters, you will get amazing views of the mountains. It will cost you a mere five euros to spend a few hours, which is totally worth it. When you’re done, why not take a short trip across the border into Spain for dinner? To reach this little piece of Heaven, you must first take a boat from the mainland to reach a volcanic island in the middle of Santorini, Greece. Palia Kameni is popular for swimming and taking hot mud baths. One thing to note: boats cannot dock at the shore you must swim from your boat. The surrounding scenery is nothing short of stunning!